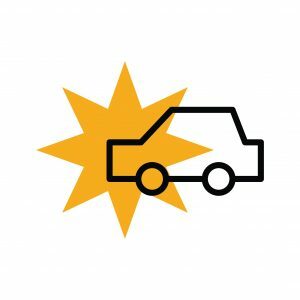 Compensation For After A Car Accident? The Property claim is usually the first thing that can be dealt with. It includes damage to your vehicle and any other personal property that was damaged in your car. Several things need to happen before you can get paid for your car. The liability investigation must be completed. Attorneys and insurance adjusters normally speak to all of the witnesses to see what they have to say. The most important document for the investigation is the police report. It carries a lot of weight for several reasons. A trained impartial investigating officer interviews the drivers and all witnesses while events are fresh in their minds and record what they have to say. This has the effect of getting people to commit to their stories and reduces the chance they will change what they say later. The at-fault driver’s insurance is usually who pays for the property damage so their adjuster will need to complete their investigation before accepting liability and paying the property claim. It is normal for them to interview all witnesses including the drivers. Whenever my office represents an injury victim we want to be involved with the statements of our clients. That helps prevent them from being bullied and limits the chance that their statement will be misconstrued. Once the investigation is done, the insurance company will want to appraise the damage to the vehicle and determine if the car is repairable or if it will be considered a total loss. A total loss means that the cost of repairs exceeds the fair market value of the vehicle. Assuming that your car can be repaired, you can expect to have the car repaired at a shop of your choosing but the shop must get their repairs and the bill approved by the adjuster. While the car is being worked on you can expect to have the cost of a rental car paid directly or possibly reimbursed to you later. I always prefer to have the rental billed directly to the at-fault driver’s insurance. Once again, they need to approve the charges and the amount of time you will be authorized to have a rental. In addition to vehicle damage, people often have personal property that gets damaged. Things like telephones and children’s car seats are examples of other property that might get damaged. The personal property claim and the car damage claim should be paid soon after the accident and does not need to wait until the injury claim is ready to settle. The larger part of most damage claims after a serious car accident is usually the injury claim. The injury damages can be divided into two major categories, Special Damages, and General Damages. Special damages are things that can be precisely calculated such as medical bills, prescriptions and lost wages. In addition to losing time from work, you may not be able to do the same work in the future and may suffer a loss of earning capacity. General Damages are often described as Pain and Suffering. There are actual pain and suffering that goes along with an injury. There is also a lot of inconvenience and hassle involved with recovering from injuries. Nobody wants to spend their time going to doctors and feeling bad. Your pain and injuries may leave you unable to do the things you normally would do at home or at work. Serious accidents can also cause permanent disabilities. These are just some of the possible problems and types of damages you may have after an accident. It is our goal at the Montag Law Office to get full compensation for all of your injuries. For a free initial consultation please call us at (800) 533-0067 to discuss your situation. We are available evenings and weekends for your convenience and we have Omaha and Lincoln offices to serve you.